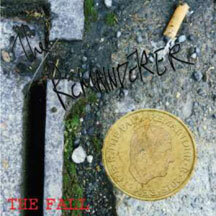 Six brand new songs from the Fall! Formed in Manchester in 1976. The band has existed in some form ever since, and is essentially built around its founder and only constant member Mark E. Smith. This EP released in both 10" and CD format contains six new songs from the band and is a bridging point between albums; the new one being released by Cherry Red in 2014.